Jill Walston is a principal researcher at the American Institutes for Research. Dr. Walston leads quantitative research and technical assistance projects mainly for the Midwest and the Southwest Regional Educational Laboratory (REL) programs, sponsored by the Institute of Education Sciences (IES). Dr. Walston serves as the project director for AIR’s subcontract on the REL Northeast and Islands. 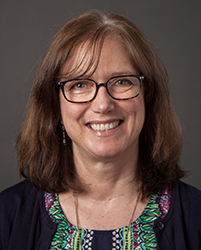 Her areas of methodological expertise are quantitative research design and analysis, survey research, questionnaire development, assessment, and qualitative research methods. Broad content experience and expertise includes early childhood education, educator effectiveness and evaluation, competency-based education, and college and career readiness. Dr. Walston worked for 15 years supporting the National Center for Education Statistic’s early childhood longitudinal studies—primarily the ECLS-K and the ECLS-K:11 and has authored several NCES reports and presentations using the ECLS-K data. She has taught kindergarten and first grade, and has published two articles in peer-reviewed journals about computer-based data collection—one on conducting computer-assisted focus groups and another on web-based questionnaire design.